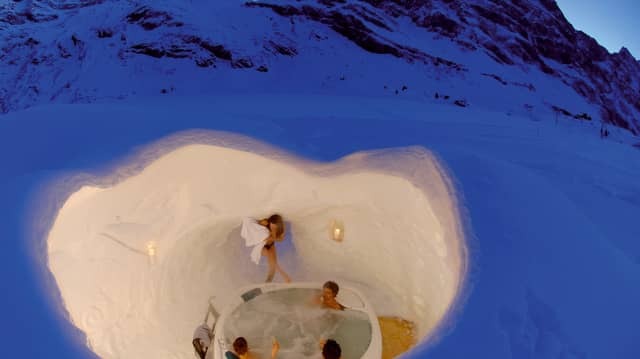 Switzerland Tourism has released a special, two-night package that includes an extraordinary overnight experience in a cosy igloo in Mount Titlis. The mid-week special is available for stays between 5 January and 10 April 2015. On the first night, guests will enjoy a stay at the Berghotel Trubsee in a double room, a sauna session, indulge in a four course dinner meal and wake up to a traditional Swiss buffet breakfast. The second day will begin with a snowshoe trek, relax in a hot whirlpool bath and a traditional fondue dinner with the locals before retiring the night in a cosy igloo. Breakfast for the second morning is also included. This special two night package starts from AUD320 per person. Visit www.myswitzerland.com for more information on Mount Titlis. For more information on this deal and bookings, contact [email protected].